The Fundació Salut i Envelliment UAB (Health and Ageing Foundation) is a private non-profit foundation at the Universitat Autònoma de Barcelona. FSIE’s main objective is to improve knowledge of different aspects related to aging with the final aim of enhancing the quality of life of elderly people, and promoting actions in order to contribute to improve the adaptation of society and people to the challenges raised by demographic changes. The FSIE is a recognized expert centre in the field of ageing. The Institute performs research on all aspects of aging, both clinical and social, with a long history of research among others on falls, frailty, nutrition, disability assessment, with a successful history of participation in several European projects regarding assistive technologies for the elderly. FSIE also performs regular actions of healthy lifestyles promotion for the elderly and their caregivers, such as publishing informative books, or a dedicated website on that goal. (you can see it at www.envellimentsaludable.com). 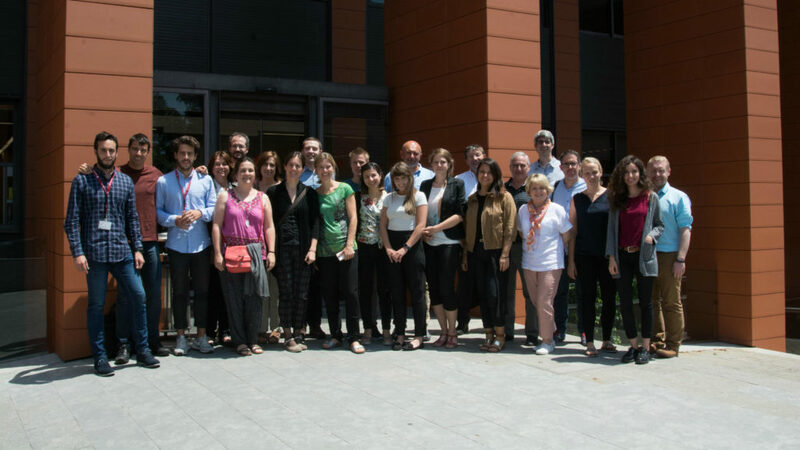 Also in the past FSIE has been a member of the WHO Age friendly cities initiative, being the scientific coordinator of the initiative in Barcelona. FSIE is an assessors of the Catalan government in the matters of long term care for the elderly and chronic illness, and we have frequent contact with elderly people associations, as well as nursing homes, long term care centers, etc. and we have experience in performing focus groups for qualitative and quantitative studies.FSIE carried out several projects working together with the national and regional governments as well with other foundations and companies. 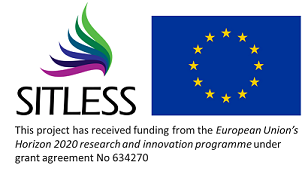 FSIE is involved in some International projects related to falls (PROFANE), quality of live (DISQOL) and Alzheimer Disease (ICTUS). The Faculty of Psychology, Education and Sport – Blanquerna (FPCEE-Blanquerna), that belongs to the Ramon Llull University (URL), includes the studies of Psychology, Teacher training, Speech Therapy and Sport Sciences. The degree study plans are based in a theoretical and practical learning methodology, with workshops, practical training in schools, hospitals, sport facilities and a wide range of centers, and it follows the axes of the Bologna Declaration, meanwhile the Masters and PhD programs involve several research projects focused on health, quality of life and life style. The FPCEE-Blanquerna is a big school, with more than 3.000 students, 250 lecturers in different areas of expertise, and 1.400 training agreements with many enterprises and relevant institutions. It is a private non-profit institution. We have more than 60 years of experience in higher education, standing out in a special methodology that sets out the personalization and its strong humanistic tradition. Blanquerna guides its students to an intellectual freedom and personal ethics. They learn into the plurality that gives them a cultural and humanistic basis and helps them to build their own personal and professional ethics. Morover, since the school has added the Sport Sciences degree, which focuses not only in high level training, but also in those topics related to improve quality of life and to prevent disease through Physical Activity. Traditionally, the university has participated in many international mobility programs, as well as educational and research programs, including agreements with several international institutions worldwide, where the main ones are the European LIFELONG LEARNING PROGRAMME. URL believes that the quality of the university depends of close relationships’ with international partners institutions while working to together through joint programs. We think that our contribution to this project can be focused on the experience we have achieved with specific populations, as elderly, working to design optimal programs to prevent them from acquiring several health risks. The University of Southern Denmark (SDU) has a total of approx. 29,000 students spread across five faculties and six campuses. The Department of Sports Science and Clinical Biomechanics is located in the Faculty of Health Sciences. The Department focuses on research, innovation and scientific knowledge based upon studies of the human body, the musculoskeletal system, sport, exercise, active living and movement. Particular attention is given to physical activity and exercise and their role in sport, health promotion, prevention, treatment of disease and rehabilitation, including cultural, political, psychological and pedagogical aspects. The Institute is organized into eight research units specializing in Muscle Physiology and Biomechanics; Clinical Biomechanics; Exercise Epidemiology; Musculoskeletal Function and Physiotherapy; Physical Activity and Health in Working Life; Sport, Culture and Society, Sports Pedagogy and Sports Psychology; and Active Living. Each research unit is managed by a highly profiled SDU professor and professors from abroad are affiliated as international advisors. The Department has a strong background in sport physical activity, with researchers focusing on physiology and biomechanics, and the role of exercise in human performance. In the last decade, its expertise in basic science has been complemented with clinical researchers in musculoskeletal disorders to strengthen the Department’s translational research capability to inform best practice health care. Today high profile researchers with backgrounds in medicine, chiropractic, physiotherapy and occupational health also participate. They actively collaborate to address interdisciplinary scientific problems, conducting research at a high international level in strategically selected areas. The Department is concentrating on communicating its research results to a broad variety of stakeholders such as municipalities, regional authorities, ministries, hospitals, sporting organizations, private companies, architects, city planners and engineers. The University has broad experience in conducting projects in the health domain and has in this regard good contacts with the health care sector. Queen’s University Belfast: Queen’s University Belfast is a member of the Russell Group of 24 leading UK research-intensive universities. The Centre for Public Health is one of five research centres in the School of Medicine, Dentistry and Biomedical Science. The goals of the Centre are to advance the health of the public at a regional, national and international level, by increasing knowledge and influencing clinical and public health practice and policy. The Centre performs research on various areas of public health, including cancer epidemiology, cardiovascular epidemiology, epidemiology of genetic diseases, health services, physical activity and nutrition and metabolism. It hosts three major externally funded research initiatives. The UKCRC Centre of Excellence for Public Health (Northern Ireland) (http://coe.qub.ac.uk/). This is one of six nationally funded centres of excellence in public health research in the United Kingdom. The Centre of Excellence is multidisciplinary and spans three Faculties in the University and a range of external stakeholders. Its research scope embraces determinants of public health from molecules to populations, as well as public health interventions. It was set up with an outward looking vision to connect academics to the practitioner and policy making communities. Its partners include the DHSSPSNI, the Public Health Agency, the Institute of Public Health in Ireland, University of Ulster, W5 and the Community Development and Health Network. The All-Ireland Hub for Trials Methodology Research is one of seven trials methodologies hubs funded by the Medical Research Council to development trials methodology. Finally the Northern Ireland Administrative Data Research Centre is one of the four administrative data research centres in the UK funded by the Economic and Social Research Council. The centre makes routinely collected administrative data accessible for research in ways that prevent the identification of individuals, while facilitating the generation of evidence to inform practice and policy development, implementation and evaluation. The University of Ulm was founded as a university of medicine and natural sciences in 1967 and has an important link to the research-oriented Science City of Ulm. There are currently around 7.200 students at the University, spread out over four faculties. Inter-disciplinary research related to aging is among the defined strategic goals of the University. EpiUlm runs various large cohorts for the investigation of various chronic diseases (Chair: Prof. Dr. med. Dietrich Rothenbacher, MPH) and has many collaborating partners at the Medical Faculty including Geriatric Medicine, Cardiology, Rehabilitation and Sports Medicine. EpiUlm also closely collaborates with the Geriatricians PD Dr. Michael Denkinger (Bethesda Agaplesion Bethesda Clinic, Ulm). In addition, several interdisciplinary research projects are run with the Robert Bosch Hospital in Stuttgart, Div. of Clinical Gerontology and Rehabilitation (Director Prof. Dr. med. Clemens Becker). Physical Activities), intervene in 3000 institutions in France and coach 80,000 beneficiaries by organizing adapted to all types of situations. SIELB has developed hubs in Belgium, Ireland, Spain and aims to develop progressively all over Europe. SIELB is the exploitation and business plan manager of the project and one of the end-user representatives. As such, SIELB will contribute to the definition of exploratory options, set up and implementation of pilot sites, definition of the business plan and dissemination of results.